It’s that time of the year again when my life is consumed by reading reports, watching athletics and listening to Prize Giving rehearsals. There are certainly worse ways to earn a living than this sensory overload! Year 10 reports have been sent home with the children today. Should you wish to discuss specific subjects, please feel free to contact individual teachers. Tutors are also available to meet if a more co-ordinated approach is required. 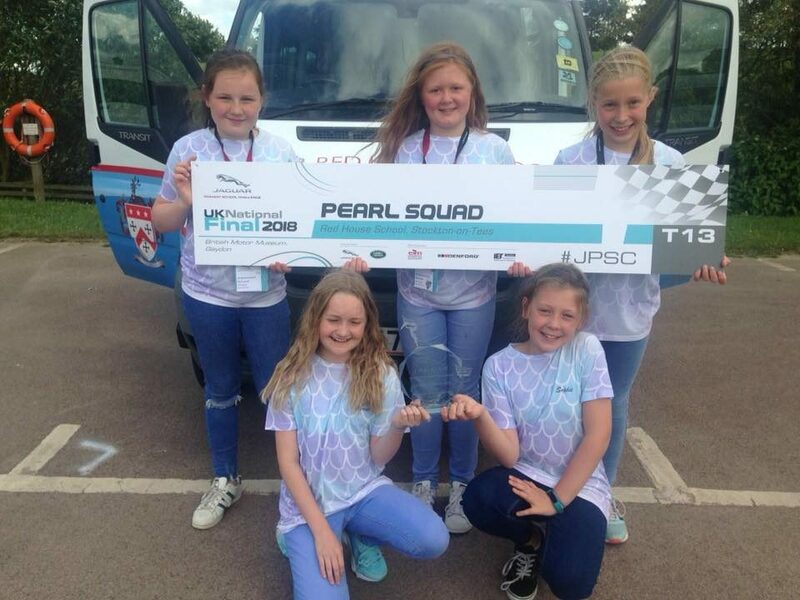 Many congratulations to our team from Year 6 who competed in the national finals of the Jaguar Primary School Challenge at the British Motor Museum in Warwickshire. They took part in a number of interviews and presented their work to a panel of experts from Jaguar Land Rover as well as competing in the all-important track racing. The team did extremely well overall against 35 other schools and were the winners in the Research & Development category; another fantastic achievement for our small school on the national stage. We are now taking bookings for fittings over the summer and appointments will be available from the 13 August until the 4 September. Please call the P&S Reception (01642 553370) to make an appointment or email Ann Morton (uniform@redhouseschool.co.uk). The new uniform lists are now on the website as a detailed guide of what needs to be bought and worn. Ann is happy to field any queries about any aspect of uniform. Stop Press: The boys’ blazers for Years 7-10 are now available. You can contact Ann if you would like to come in early. Sadly the ties are not available yet but can be picked up later or given to the children on the first day of term if you cannot make it into school beforehand. I’m delighted to let you know that we will be replacing the Sports Hall floor over the summer as part of the refurbishment programme. We’re going for a more modern rubber playing surface which no doubt will enhance the already brilliant performances of our netballers. We’re also starting work on the renovation of the porch at the entrance to the P&S School. We have a duty to look after our beautiful building and we hope to see the porch transformed. Finding an expert to repair the mosaic floor is proving to be quite difficult, however. Should you know anyone, please get in touch. PTA Summer Fete – tomorrow! We’re looking forward to welcoming our former pupils next week. Please continue to spread the word and ask people to contact the P&S office as soon as possible if they would like to join us on the day.